Feet stink, there’s no changing that. But all the same, it’s time to throw away the cotton bags you call socks and spring for a pair that doesn’t come in a 20 pack at Target. Today’s performance socks are specialized, defined by sport as well as level of coverage and performance needs. It can seem complicated, so we’ve highlighted one essential ingredient you need to start your sock metamorphosis—antimicrobial fiber. Basically put, anything antimicrobial kills bacteria, so when used in an athletic item it can combat the smell and any chance of infection for a one-two punch. Ranging from paper-thin for our minimalist runners to chunky knits for traditionalists, these are 10 Great Antimicrobial Socks for Runners. When you think about Merrell, the first thing that may come to mind is chunky hiking socks peeking over those Wilderness Classics. These are not those socks. 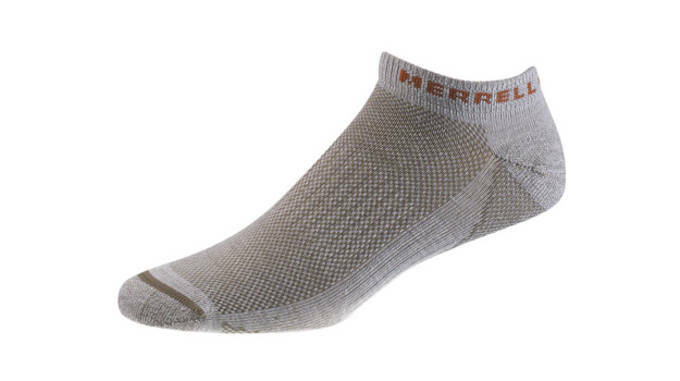 While Merrell is also perfectly suited for the mountain, its sock game is eclectic and essential. 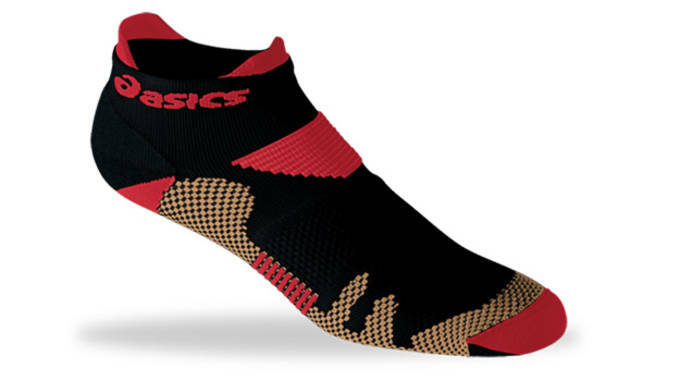 Check out the Sonic sock for a minimalist feel that contours the foot, is quick-drying thanks to Drirelease Wool and an odor neutralizing FreshGuard, and stays put thanks to a reinforced heel. 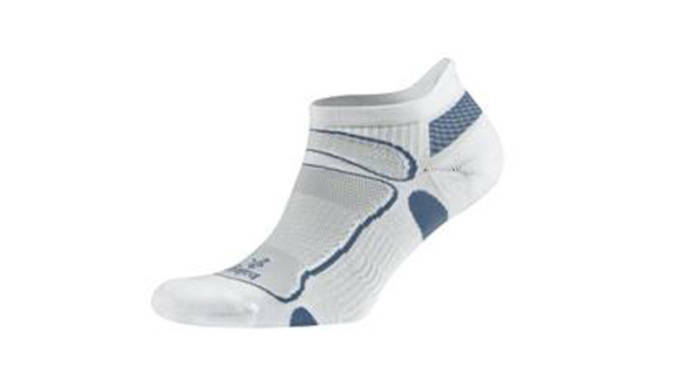 The DryMax is the best sock ever for keeping your feet dry, according to DryMax. According to Sneaker Report, it’s up there. 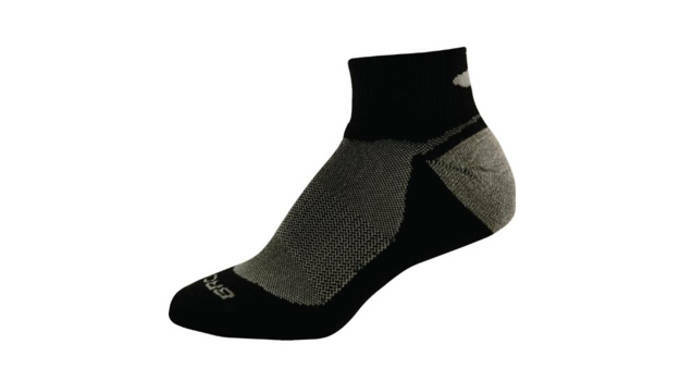 Much like Thorlo, a DryMax sock looks like it’s too thick to allow the feet to breathe, but both thicker socks are successful at keeping your feet dry and cool through longer miles. 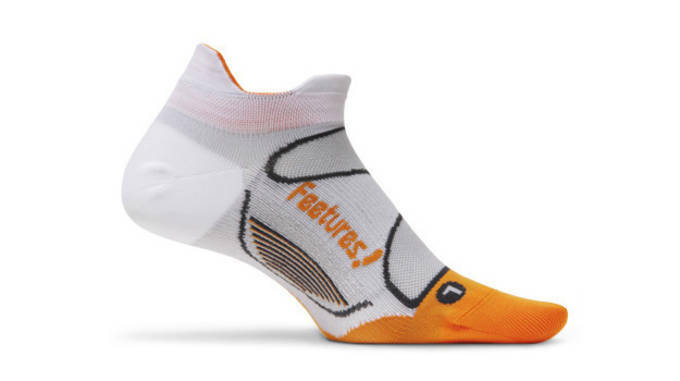 Our favorite aspect of the DryMax is the sock’s sturdy fit, the contoured structure of the sock stays put and provides a nice extra layer of cushioning for those who prefer it. 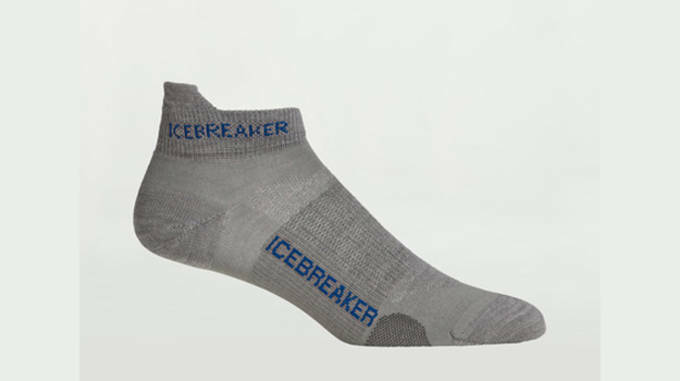 Runners know to trust Brooks with their feet, so this sock is a no-brainer. Natural fibers enhance the fit and feel of the Infiniti, the Merino wool wicks sweat and combats the stench associated with the post-race runner while a bamboo rayon blend supplies a smooth texture. Ok so let’s get this out of the way: Feetures! has the BEST colors out there when it comes to running specific socks. The variety and mix of shades brings the knits up to par with the superbly playful basketball socks favored over the past few years… a good thing for runners looking for some spice. 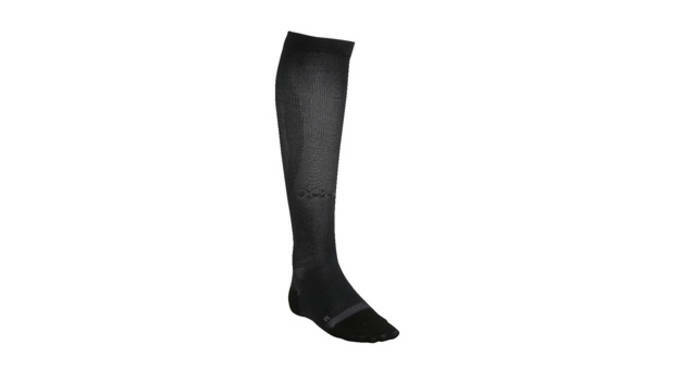 The Elite features a Power Arch fit for a supportive, stable running sock. Minimal runners will love the ultra thin feel. Just like its sister shoe, the Kinsei sock is for runners that want the maximum amount of technology and want it to show. 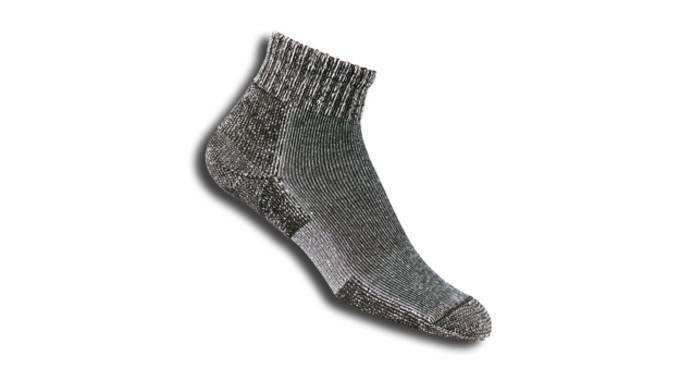 This low cut sock is in the middle range of feel, not too chunky but not too slippery thin. Offered in XS – XL, the sock promises the perfect fit too. This one’s for the runners that would prefer to have nothing in between their toes and shoes. 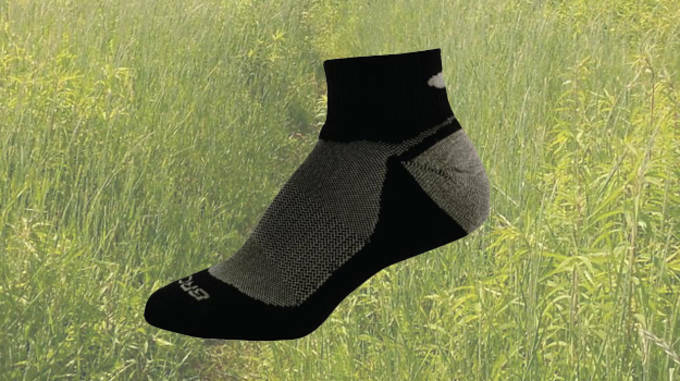 With all of the bells and whistles of a performance sock (mesh panels, heel tabs, reinforced fit) the standout feature of this sock is the great fit. Runner that rely on their compression gear can find comfort in the fact that these feature antimicrobial fibers to manage sweat while increasing blood flow. CW-X gets the job done with these knee highs. Wool? Yes, wool. Merino wool is the main ingredient of the Icebreaker brand, incorporating the natural fiber into everything from underwear to slope-ready hoodies. 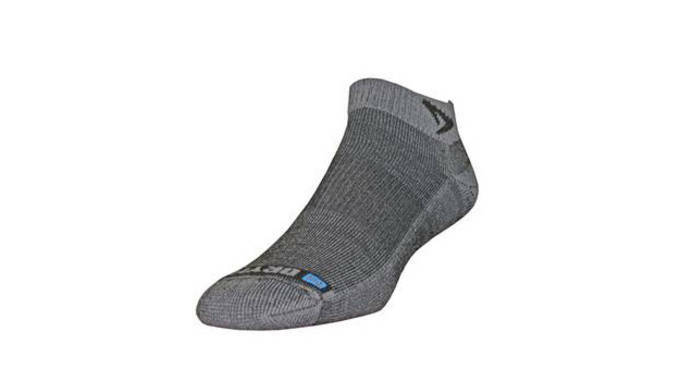 The Run Micro sock is really comfortable, providing a cozy feel as you slide them on. Great for cold morning runs or all day wear. No seams mean a smooth fit and less moving around en route. Made of an even blend of merino wool (power fiber) and nylon, these slip-ons will wick and stick in a good way. So comfortable. 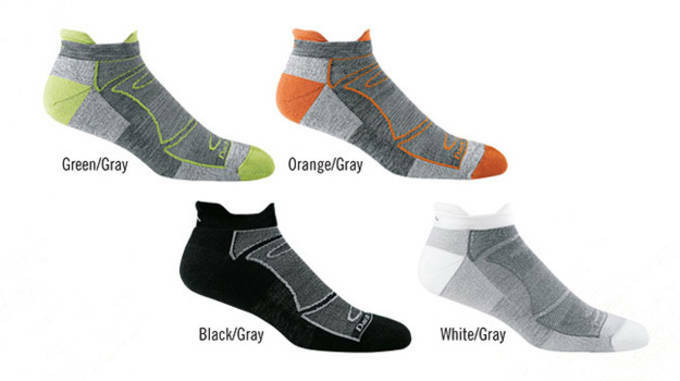 Thorlo knows how to make a super comfy sock for all sports. The running selection may seem on the thicker side, but the chunkier knit construction works to support and cushion feet.